The Resident Tourist: Re-Texturize . . . I recently discovered Kiehl's Epidermal Retexturing Micro-Dermabrasion formula and thought it was only fair to share this great find with you all. 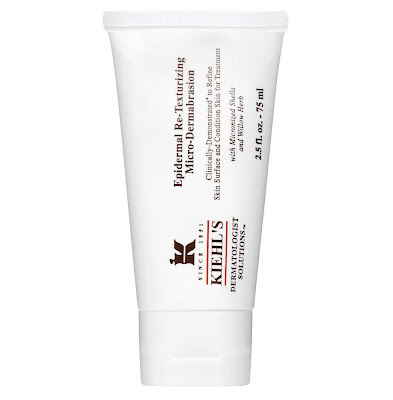 Essentially a facial in a tube, this product has an incredible skin-smoothing effect along with tone correction and line reduction. It's amazing! Seriously the best exfoliating cream I've ever come across. Use two to three times weekly. You'll fall in love with your new skin. And the best part, shop Kiehl's today and tomorrow and get 3 Deluxe Minis with a $65 dollar purchase or a full size Ultra Facial Cleanser if you spend $125. Use code: REVOLUTION online or request in store. Before Fall, a Mini Spring Break . . . Weekend Must: Be a Light for Peace . . .
Mid-Week Meatballs . . .
A&M Football Photo Journal . . .
From Fashion to Football . . . Happy NYFW . . .
Broadway Week . . .